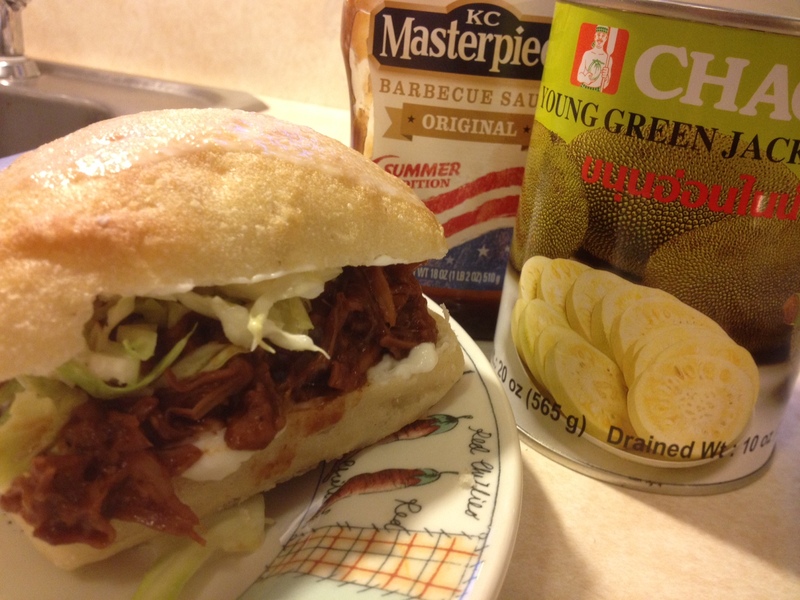 BBQ Jackfruit Sandwich: Not your Grandma’s Pulled Pork! Are your ready for one of the easiest sandwiches that will both impress vegans and carnivores? Here it is, the BBQ Jackfruit sandwich is the vegan cousin of the pulled pork sandwich, but better. The part I love most is that it’s only TWO ingredients! Plus, there’s no faux soy meat so it’s also an easy gluten free recipe! You can find Jackfruit at most asian groceries. Make sure you get the Young Green Jackfruit in Brine, not in juice! 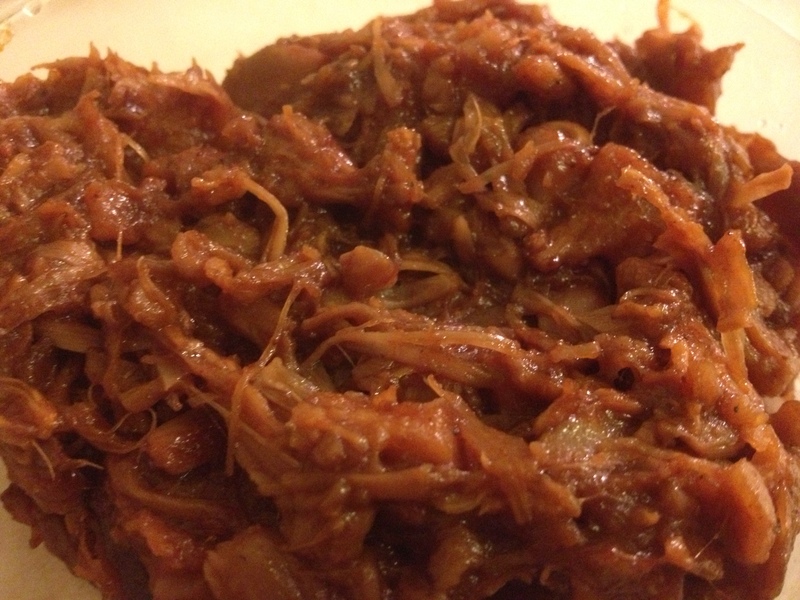 It looks so much like bbq pulled pork it’s scary… but delicious! I ate it on a sandwich with vegenaise and vegan coleslaw. My hubby likes it with vegenaise and pickles. You can also make it into wraps or bbq jackfruit tacos with pinto beans and your favorite toppings! Whip this easy sandwich recipe it up for your next gathering or picnic! 2 cans of Young Green Jackfruit in Brine. Drain jackfruit and rinse a few times to remove the brine. Place jackfruit, 1 can at a time, onto a plate lined with a couple paper towels and squeeze out as much water as possible. The more water you remove, the more flavor it can soak up! Place jackfruit into crockpot (or large pan) and add as much bbq sauce as you’d like! Like it really saucy? Add the whole bottle! Allow it to simmer for a couple of hours. The longer simmer time makes the jackfruit really tender and gives it time to absorb flavors and get rid of the briney taste. Then, shred it with a fork! It’s that easy! If you’d like to give it a smoky grilled flavor, put it on a pan on the grill for 10-15 minutes!